The parish of Trofarth was created on 20 November 1873. It comprised the township of Trofarth, and part of the township of Cilcen (which until then had been in the parish of Betws yn Rhos; part of the township of Deunant (in the parish of Llansanffraid Glan Conwy); and part of the township of Marchaled (in the parish of Llangernyw). 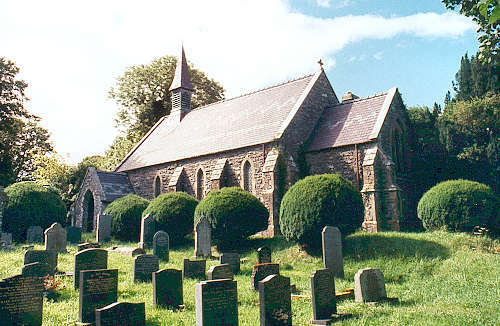 St. John's church was consecrated on 19 June 1873. St. John's church closed some years ago. For family history information about the church and parish, visit the GENUKI Trofarth page.